Tenniel. 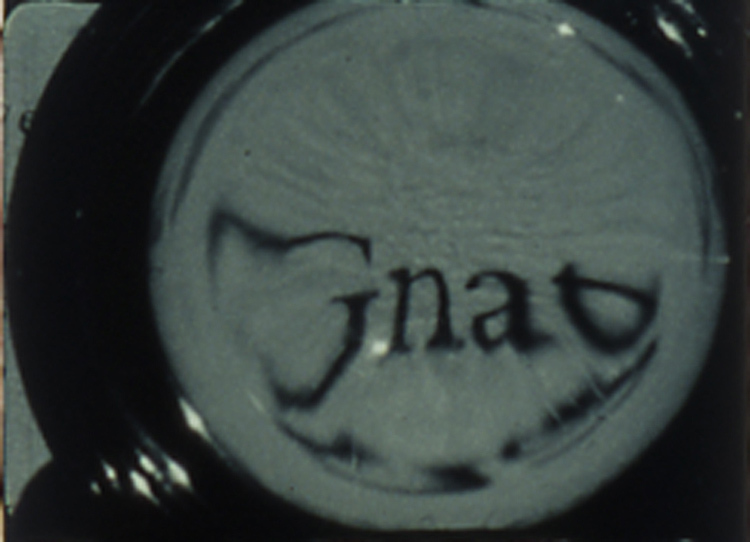 Delighting in the act and play of observation, it finds a visual metaphor for the cinematic process in the antics of the original story, and makes use of magnifying glasses as an optical pun--pointing to the instruments used by both entomologists and filmmakers alike. Yet the insects of the story fade away, just as the observations that appear in the film’s magnifying glass dissolve into darkness when tilted to reflect the “natural” world beyond the book. US Premiere: Ann Arbor Film Festival, March 2013. Onion City Film Festival, Chicago. Views From the Avant-Garde New York Film Festival, New York.